Mount Kailash via Lhasa is a complete Tibet tour package that covers the exotic sightseeing of the Lhasa city and surrounding, scenic overland drive tour that leads to the famous Everest Base Camp from the north as well as the pilgrimage tour to the holy Mt. Kailash and Manasarovar Lake. This Kailash Manasarovar Everest Base Camp Tour will be your once in a lifetime opportunity in Tibet. Lhasa EBC Kailash tour has a cultural value that offers you to explore and learn the old Tibetan Buddhist traditions and culture, many religious monasteries, their lifestyle. You will visit Potala Palace, Drepung Monastery, Sera Monastery and other monuments in Lhasa. After sightseeing in Lhasa, you enjoy the overland journey towards Everest Base Camp. Kailash EBC tour will thrill your heart by the breathtaking views of the snow-capped peaks and Tibetan countryside residing above the highest altitude in the world. Explore the sacred Manasarovar Lake and perform 3 – day’s pilgrimage walk around the holy mountain of Kailash. The circuit walk is known as Kora or Parikrama. After Kora, you will drive back to Kathmandu. Mt. 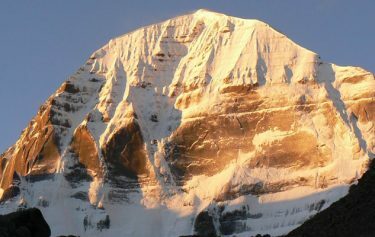 Kailash Manasarovar EBC Tour is an easy overland tour with some day’s moderate trek in Everest Base Camp and during Kora at Kailash. But you need to be very careful about the altitude sickness because Tibet is the highest altitude place in the world that goes above 4000m. You don’t need to worry since our tour itinerary includes proper acclimatization and rest days for you. Exciting Nepal Treks and Expedition organizes Mount Kailash Manasarovar Tour via Lhasa with the best designed itinerary for you. Join us to experience the Tibet tour. 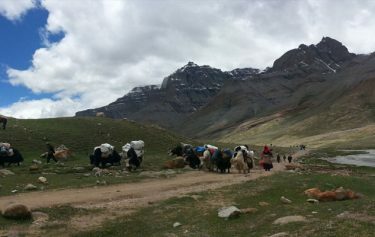 – Kailash Kora/Parikrama (56km trail) for two and a half days. – Tibetan Medical School at Darchen, Old Monasteries. Day 16: Drive to Zhangmu to Border where transportations wait for group for final journey to Kathmandu. Departure Transport to Tribhuban Airport and Trans – Himalayan flight to Tibet (Gongaar airport) (1hr.) Drive to Lhasa (1hr.) – Full rest for acclimatization – O/N at Hotel. AM: Sight-seeing in Gyantse including Pholkor & Kumbum Monastery. 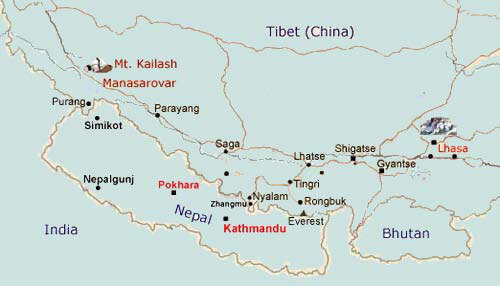 PM: scenic drive to Xigatse(1.5hrs) through the typical Tibetan Countryside – Hotel. AM: Visit Panchen Lama’s Tashilhumpu Monastery. Then Drive to Xegar crossing over Gyatchula (a pass of 5,200m) – O/N at Guest House. Rent a horse cart or walk to the Everest BC and explore around – Drive to TingriO/N at Guest House. Guest House and Tented Accommodation as per program. All your meal as per the itineary. Meal Plan on B/B basis up to Tingri and Full board Basis (B/L/D) onward Saga.